For every €10 you play you are getting 1 point. 100 points can be exchanged for €1 in your balance. People aiming to find a great online casino that has a number of fun games and also offers full mobile support should see what the Cashpot casino has. 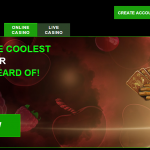 As you will notice in this Cashpot online casino review, this is a casino that has a number of points that make it an outstanding option in today’s casino world. It has not only a great variety of games but also an exciting variety of bonus offers and even some exciting VIP plans for all to look forward to playing with. This is a gaming spot that has been in operation since 2015 and is licensed to operate in Curacao. It is owned by Game Tech Group and Supaze Limited, a company based out of Cyprus that has a number of online spots for gaming. The Cashpot casino is just one of the different sites that are in operation. A good point to note about this Cashpot online casino review is that the site has been organized with a more modern look all around. It uses bright colors all around and uses only the best new software programs. The site has also expanded to include its own special mobile edition that can be played on a number of phones and tablets. It offers support for most devices and is very easy for all people to enjoy playing along with. Ainsworth virtual sports games are among the most popular here. These include virtual thoroughbred and harness horse racing events plus a virtual velodrome. Greyhounds and speedway events are also included in this section. Roulette and blackjack are among the most popular table games here. These are included in many variants including the Sizzling Hot and Golden Ball roulette tables. Poker players can enjoy Caribbean, hold’em and poker dice games. Video poker players can enjoy deuces wild and jacks or better options among a few other added variants around the site. The live casino games include many traditional blackjack and roulette tables that are open throughout the day. Scratch cards include different themes and designs for all players to have fun with. Three different keno games are included with their own rules. Dice-based games like Sic Bo and craps are featured here as well. 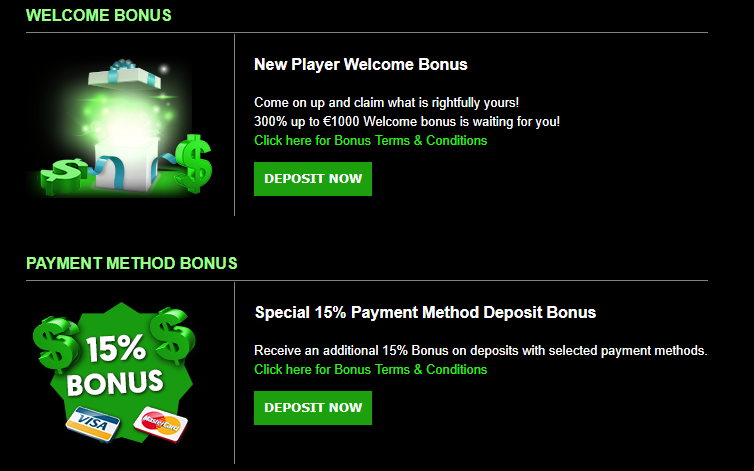 A 300 percent welcome bonus of up to €1000 is available for all first deposits. A 15 percent bonus is offered on deposits made with particular deposit options. These include the Neteller and Skrill deposit choices. Numerous free spins are offered to players on various slots. These are offered at many points during the year depending on new games available. These provide people with the ability to get up to €100 in winnings off of those free spins. 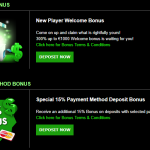 All of these bonuses are great for people to see in this Cashpot online casino review. Still, people will have to play through their deposits and bonuses a number of times before they are able to withdraw anything off of them. This leads into the next point to see about this spot. The casino has support for many great online banking options. It can support credit and debit cards as well as select bank transfers. 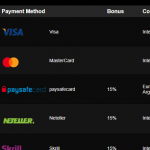 It can also use the Skrill and Neteller online wallet services among others. The choices for banking will vary by each country of origin. People can also use many of these similar options for getting withdrawals. It typically takes at least 24 hours for an order for a withdrawal to go through although the timing will vary based on the particular order one takes in. The casino has a number of good choices for handling money and is protected with full online security and encryption. This ensures that no information will be lost or used in any illegal manner while aiming to get the site working. People looking for support from Cashpot can utilize the many support features that it offers. These include a full online guide as well as a 24-hour email support system. This system is rather prompt in that it offers responses in a few hours after a question is sent although the response time has been relatively varied in terms of the amount of time needed for getting a question answered. 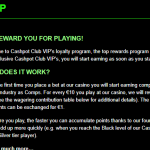 People who play at this casino often can take advantage of the special VIP offers that the site has. These include many unique offers where people can get special bonus comp points for playing more games. To utilize this, you just have to start playing games here. A player will get one comp point for every €10 that is spent on this site. When a player gets 100 comp points, that person gets €1 back. This is a popular feature that has no limits in terms of what people can earn. However, those who play on the site more often will be eligible for larger payouts. These include bonuses where a player can get a bonus of 5 percent or more in points for one’s regular play. This means that those who deposit more money and play more often will get the best possible benefits off of the VIP program. 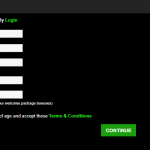 Of course, this is something that can be said for any other VIP program that other websites have to offer in general. One point that you might have noticed in this Cashpot online casino review is that this website has a number of great games to play with. These games are especially great for when you are looking for something attractive and fun to play with. Check out this great site the next time you are looking for someplace that has a number of thrilling and special games that you are bound to enjoy.